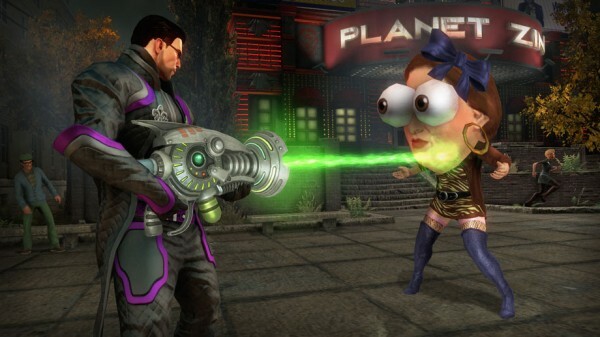 After seeing the trailers for Saint’s Row 4, I was really excited to get a hands-on with the game. The demo that Deep Silver and Volition showed off was a small section of the game at the beginning, where the aliens first invade the White House. As President, you’re walking towards a press conference. You’re immediately thrown back into the signature comedic writing of the game – one comic moment was choosing to pass one bill, either to cure cancer or end world hunger. When you finally make it to the press conference, it’s disrupted by the alien attack and they begin to kidnap members of the Saints, namely Shaundi. 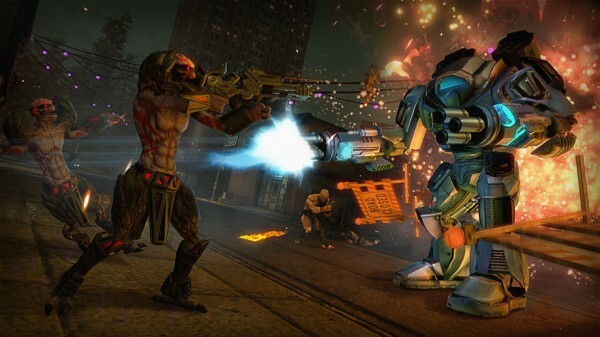 It’s obvious the demo was made to let me play with abandon – I was given unlimited ammo for an automatic rifle. Moving through the halls of the White House, I took out groups of aliens and finished the mission by jumping onto an anti-aircraft gun – complete with rockets – to destroy attacking ships. If you played Saint’s Row 3, then jumping into 4 is no problem. All the controls are the same and even with the on-screen instructions, destroying everything was second nature. After the White House mission, I was given free rein to test out the new superpowers and an assortment of weapons. The default powers are super-speed and the ability to super jump and glide. When you’re in the air, you can aim at the ground and perform a super ground attack to kill and stun enemies. Other powers that I tried were the ice attack that froze enemies and an area-specific fire buff that set objects and people around me on fire. There is also telekinesis, which was a little more difficult to control, but caused even more destruction. The best weapons in the demo were the pulse rifle shaped like a water gun, the black hole gun, and the dubstep gun. These weapons all have different uses, but were also a lot of fun for mindless destruction. Normal weapons like pistols, shotguns, and semi-automatic guns still exist, but I’m not sure how much you’ll need them when you consider all the other powers you have. Giving me unlimited ammunition let me blast everyone with dubstep for a very long time. I did have trouble hijacking vehicles in the demo, but stealing cars is definitely possible. It could have been a bug in the demo, but it was more fun testing the new powers in highly-populated areas. 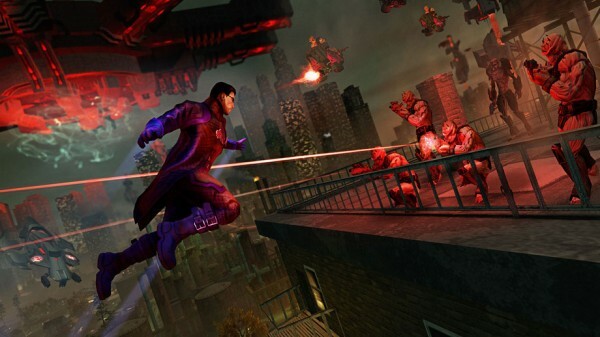 Visually, Saint’s Row 4 doesn’t look very different from the third game. There’s a bit more visual polish and the game engine looks like it was updated, but overall the signature style remains the same. Even with only 30 minutes to play the game, the open world gameplay of Saint’s Row 4 still exists and is amazing fun. I spent the demo testing out the new powers and seeing just exactly what the dubstep gun was about. There are still missions and objectives to complete, but you can spend time in the game just wandering and wrecking wanton destruction on the world. Saint’s Row is often compared to Grand Theft Auto and with the fifth entry of the series being released only a little after Saint’s Row 4, it’s going to be an interesting month. From what I could see, Volition haven’t made any major changes from Saint’s Row 3, although they have really improved the gameplay and overall experience. Playing the demo has made me even more excited for the release of the game and I can tell that I’ll be spending hours experimenting with all the different powers and weapons.